Another recent gift, the Boston MQG was running a Sewing Room Swap and I was lucky enough to get Trish as my partner. 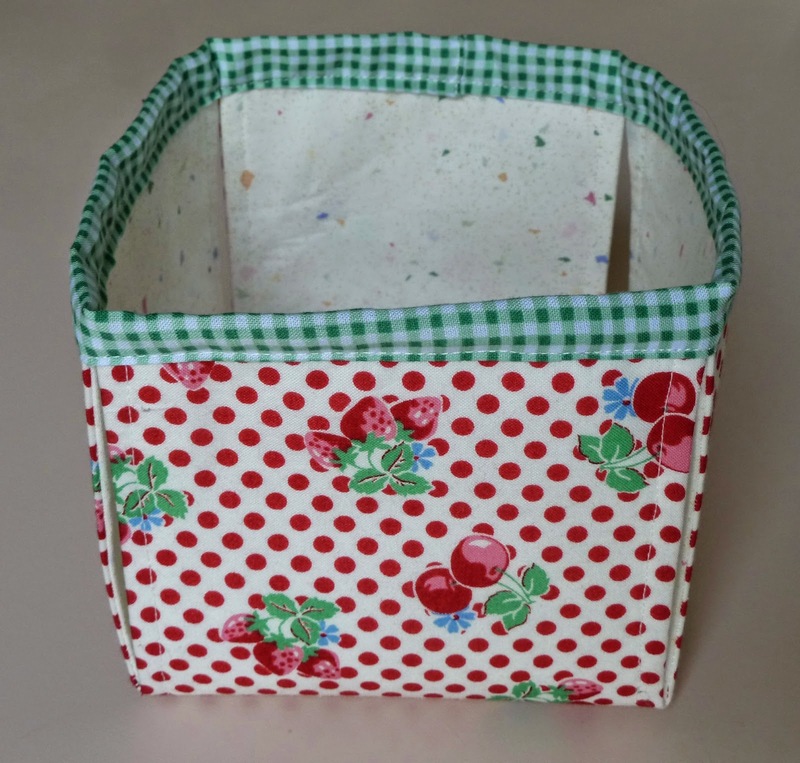 My Noodlehead Berry Basket obsession started when I made a prototype for this Very Berry Berry Basket. When I first met Trish she was told me about the wonderful strawberry farms near her home so I thought this adorable Lecien print would be perfect. 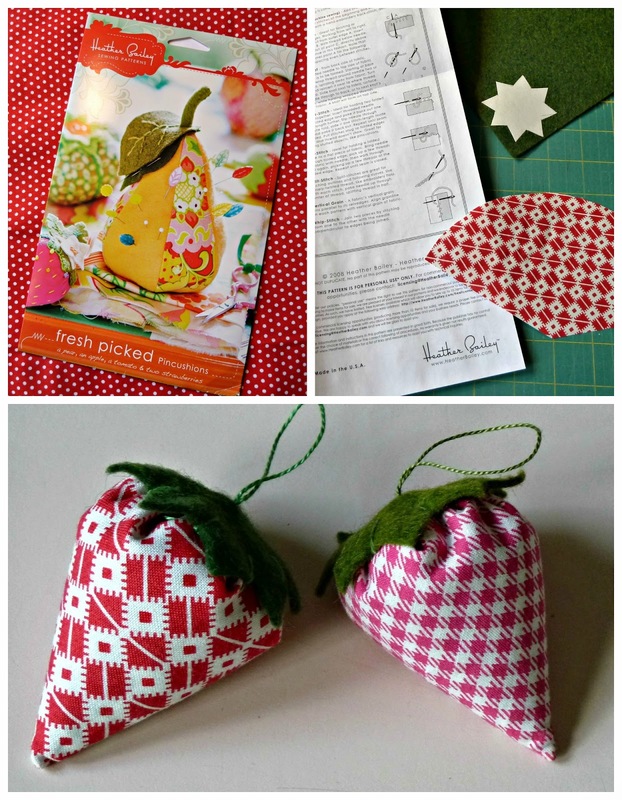 Then I stumbled across the Strawberry Pincushion Swap and knew I'd have to make one of those also;-) Imagine my surprise when I realized I already owned the Heather Bailey pattern! These were so quick and cute I had to make one for myself. In return I received this fabulous sewing tote from the lovely Gretchen. 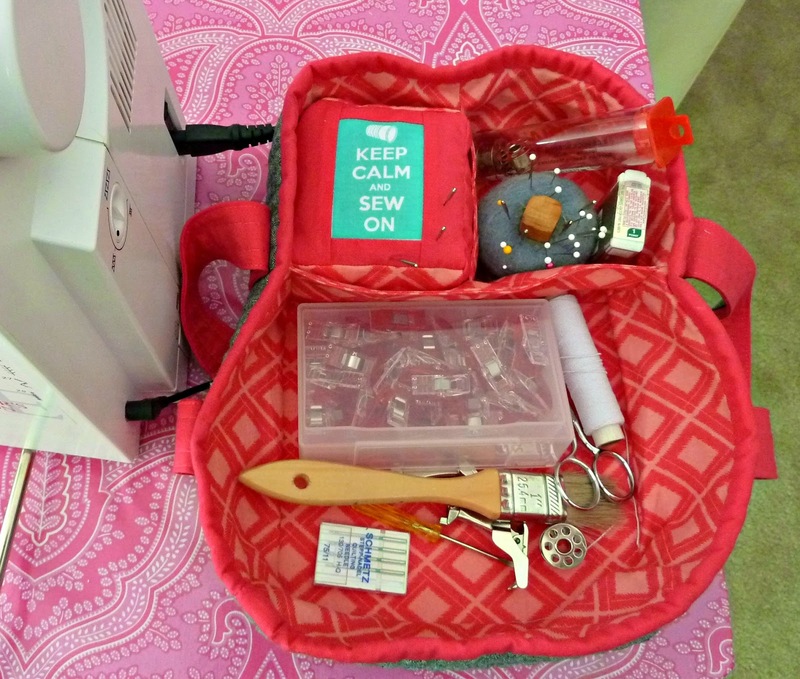 It's just perfect for corralling all the stuff I like to have next to my sewing machine and I adore the matching Keep Calm pincushion!!! Check out more of the fabulous swap items at our May Meeting Recap. Aren't strawberries wonderful. The basket is delightful and such a useful present. I'm sure she loves them all.